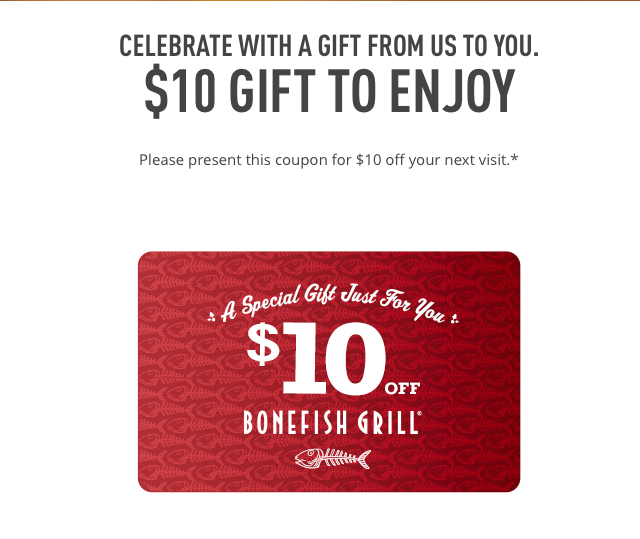 BoneFish Grill just posted a printable coupon for $10 Off Your Dinner Purchase with NO MINIMUM - HOLLA!!! The coupon is valid through December 30, 2014. Legal Stuff: Excludes alcohol, dine-in only and may not be combined with any other offer and excludes group & event dining. Additional exclusions may apply. If interested, I suggest that you print this coupon before it is taken off online - which happens with deals like this.